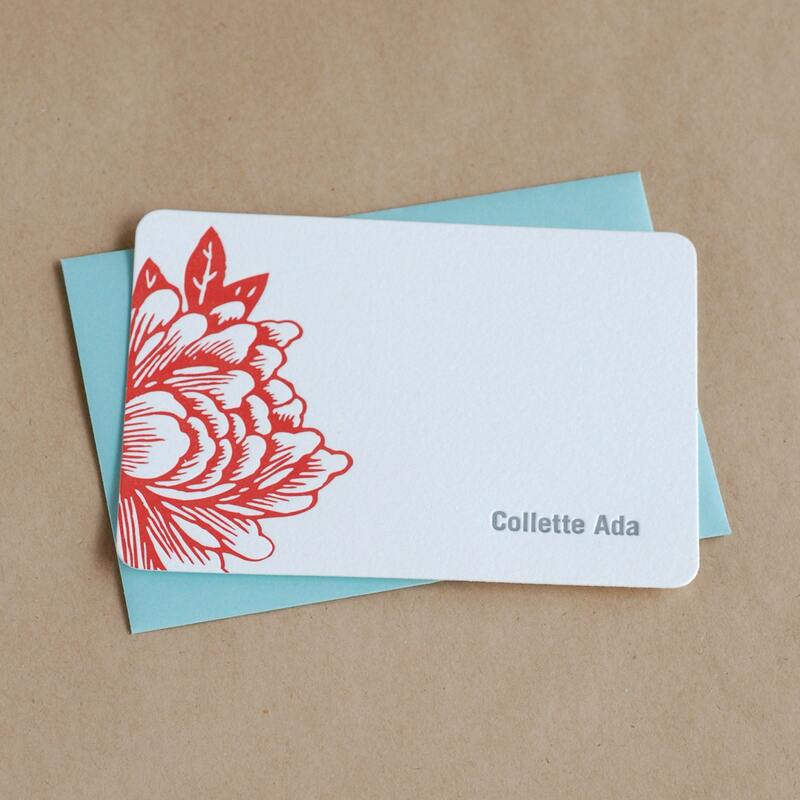 impress your friends and colleagues with your own personalized letterpress printed stationery. 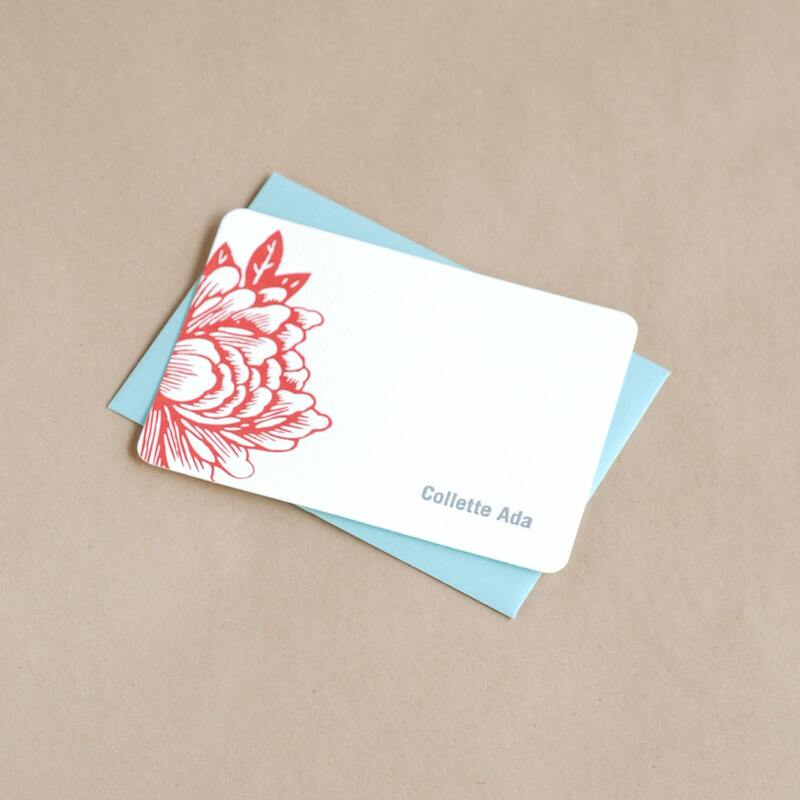 these sweet notes are perfect for correspondence, a quick note, or a thank you card. also great for bridal, baby, or wedding showers. letterpress printed in scarlet red soy-based ink on crane’s 100% cotton lettra paper. small flat cards with your choice of colored envelope. 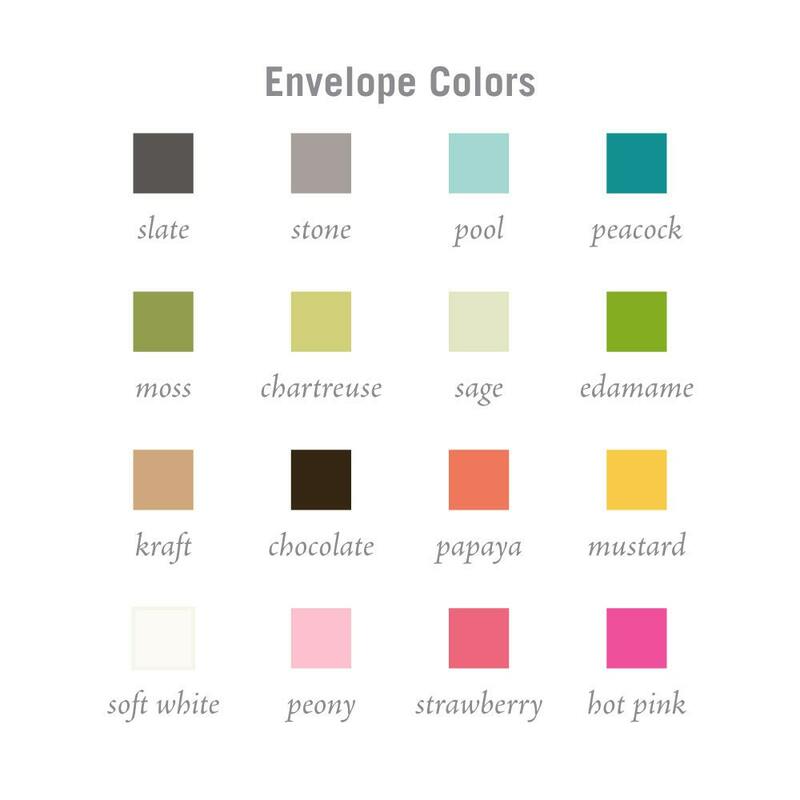 * if you are ordering from a device that does not offer color selections please include envelope color choice (last image) in message box at checkout. folded card measures 3 1/2" x 4 7/8" (envelopes 3 5/8" x 5 1/8"). this item is ready to ship within 2-3 weeks. package will be sent USPS first-class mail unless you request a change in shipping.